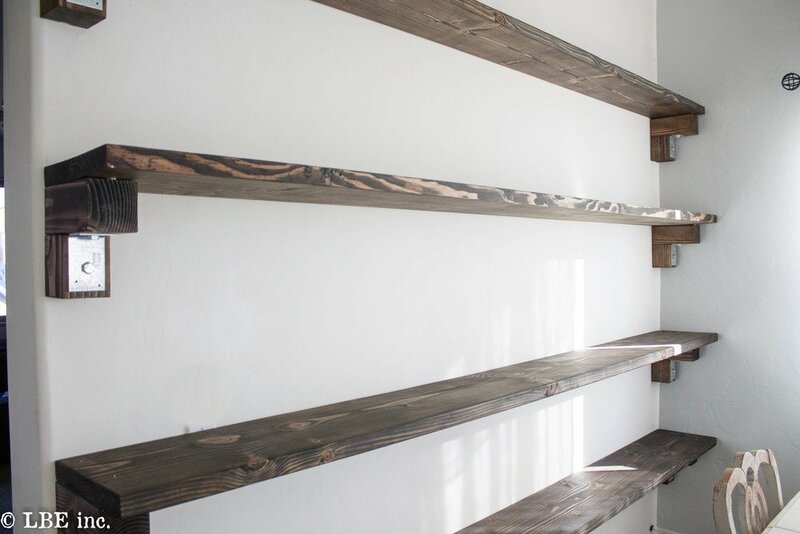 If you are in on the farmhouse craze that is taking over the design world, these affordable farmhouse inspired shelves are just the thing for you! 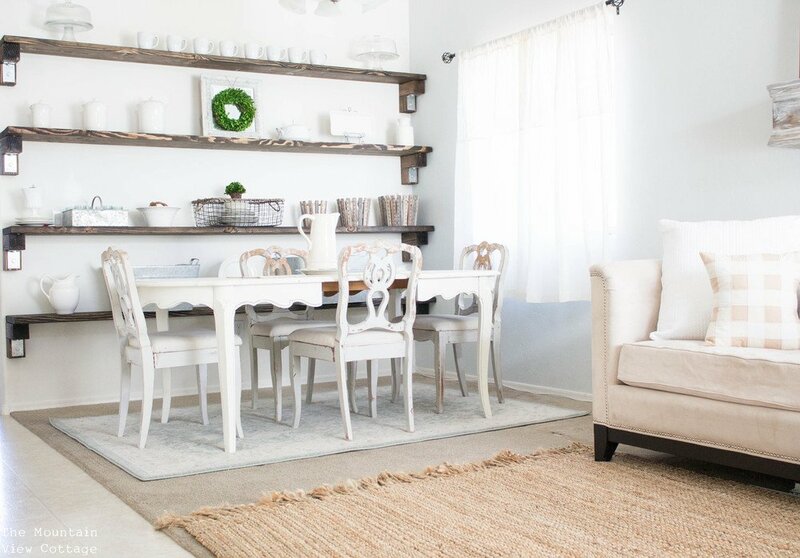 They take a few days to complete and will add so much character to any space in your home!! We decided to put these in after “Cottage White” magazine contacted me with a potential offer to be featured in an upcoming issue! 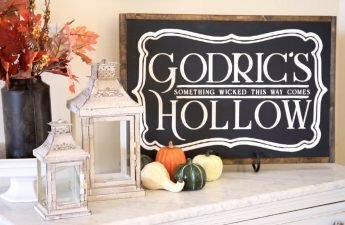 I wanted to add more character to our home and really do something that was visual and impactful to the space! These fit the budget and you can see them in the summer issue of “Cottage White” EEEK someone pinch me!! Disclaimer- This post contains affiliate links,?however all product reviews and suggestions are purely my own. 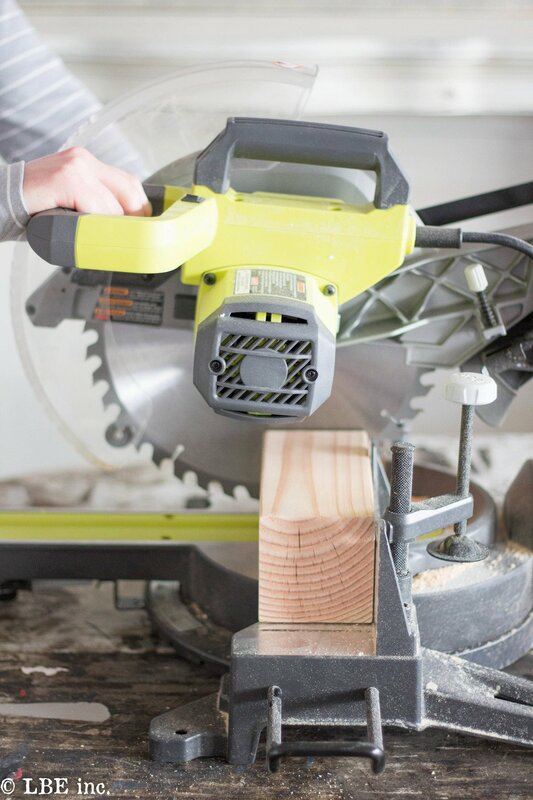 The first thing you will need to do is prepare and cut your wood. 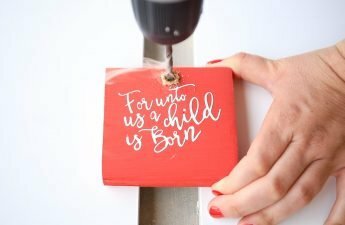 Start by cutting your 4×4 inch boards into 8 inch and 4.5 inch pieces. 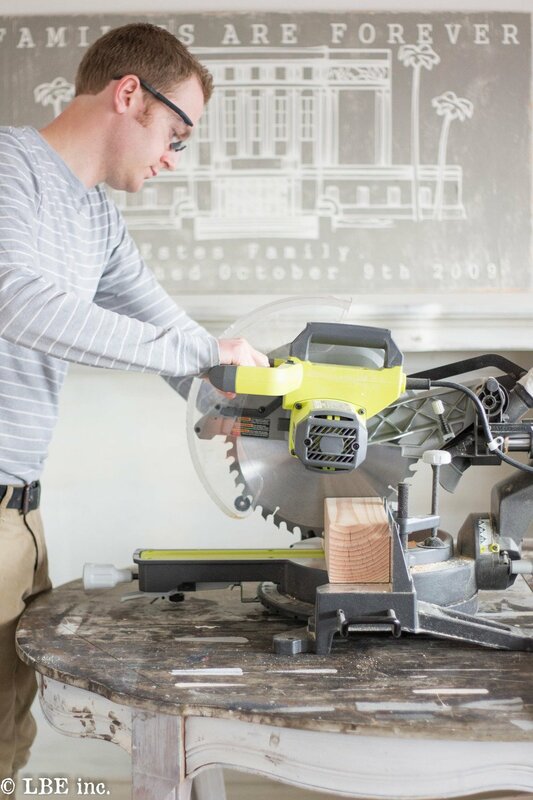 Once you have made these cuts be sure to sand down the edges so they are smooth. Next measure the wall that the shelves will go on and make sure that you do not need to cut down the 10 ft boards. We ended up having to cut off about 6 inches of each board so they did not hang past the wall. 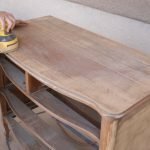 Once all the wood has been cut and sanded smooth you will stain each piece. I used a rag for the small 4 x 4 pieces and a foam roller for the large boards to speed up the process. 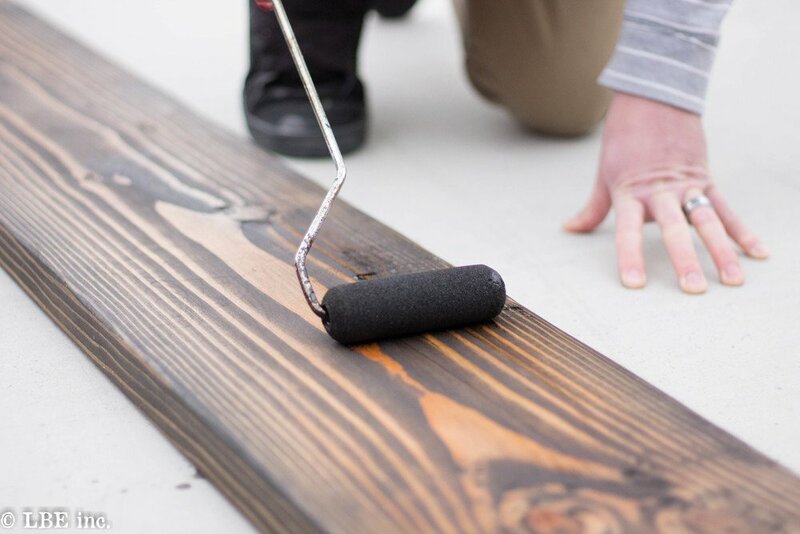 You will need to let all the wood “cure” at least 24-48 hours before moving on to the next step in the process. 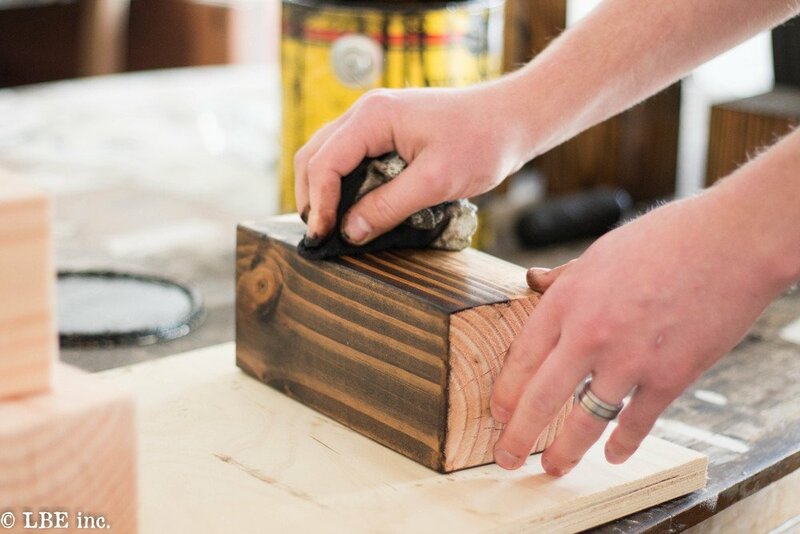 Once the stained wood has all dried you can then begin to create the chunky farmhouse corbels that will hold up your shelves. Take one 4.5 inch piece and one 8 inch piece and put them together like an L as shown in the image below. the short end will be the bottom and the long end will be the top and rest beneath the shelf itself. 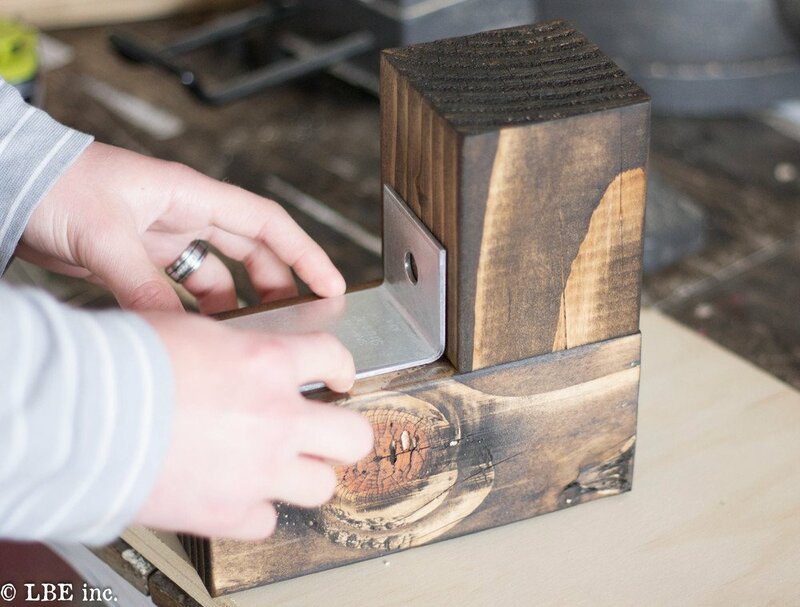 Using your measuring tape measure the center of the wood so that the metal bracket is centered to anchor together the two pieces of wood. 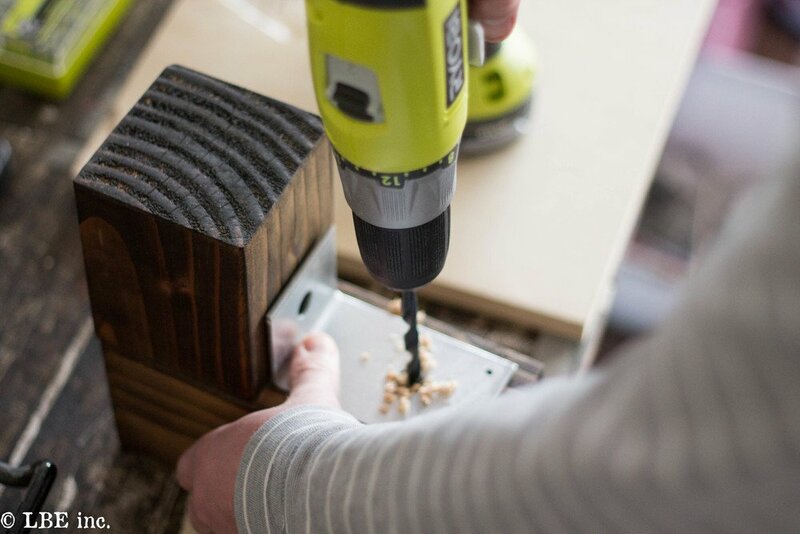 Use a 1/2 inch drill bit to pre-drill holes into the 4×4’s using the bracket as your guide for where the holes should be placed. ?Shown in the image below. 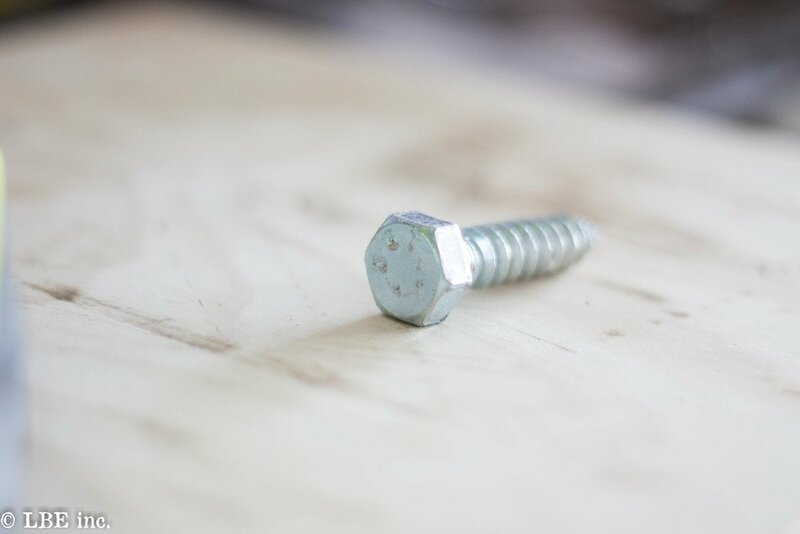 Once the holes are in place use your 3/8″ drive bit to drill in the large hex screws like the one in the image below into both holes securing the bracket to both 4 x 4 pieces creating the L shape of the bracket. Next secure the key hole fasteners to the top back of the corbels you just completed. Be sure to put these at the top back of the corbel where the shelf will rest on top. If its at the bottom or the middle it will hang at an angle. Now that your corbels are complete use your stud finder and pencil to mark the studs on the wall where the corbels will be placed. There is a 19 inch distance between each of my shelves but you can do this however you prefer. Keep in mind that the closer together the shelves are will limit the types of items you can put in between them if the items are too tall. 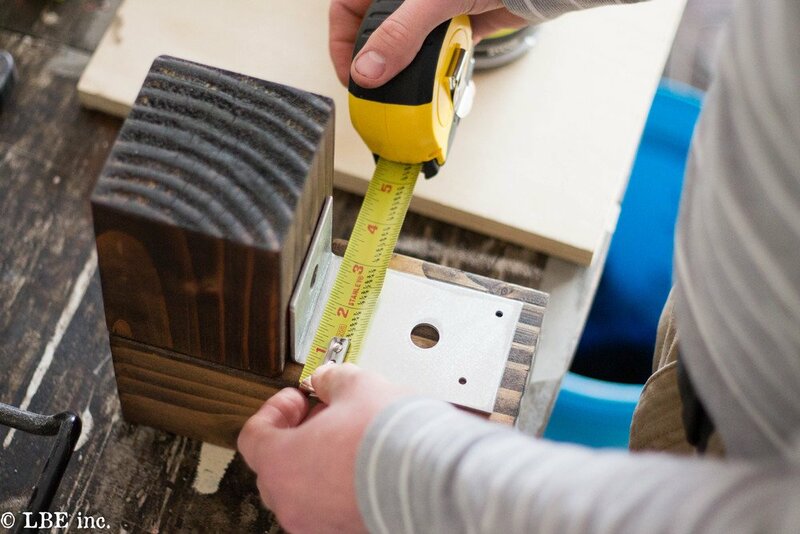 Using your level to double check that both sides of corbels are even begin screwing your heavy duty screws into the studs and locking each of the corbels with the key hole into place. You may need to lightly tap the top of the corbel with a hammer for them to lock in. 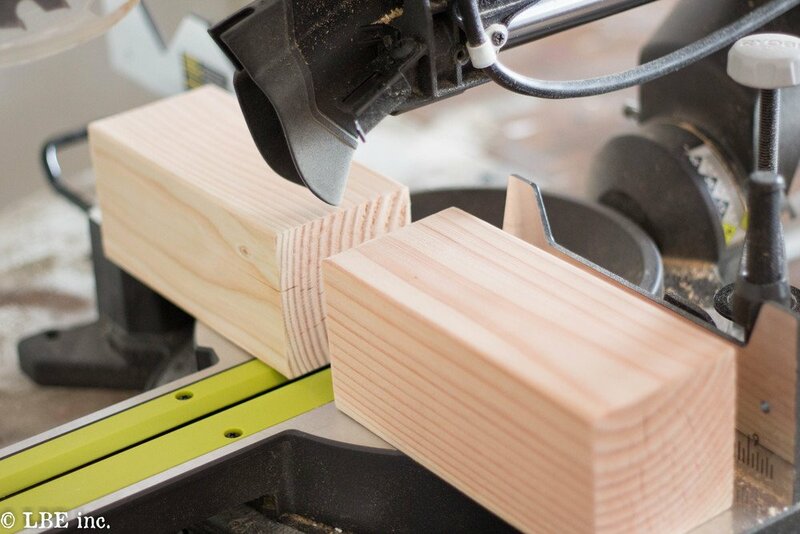 Once the corbels are all in place simply place the shelves on each set of brackets and nail or screw them from the top into the corbels for extra security! and WA LA!! 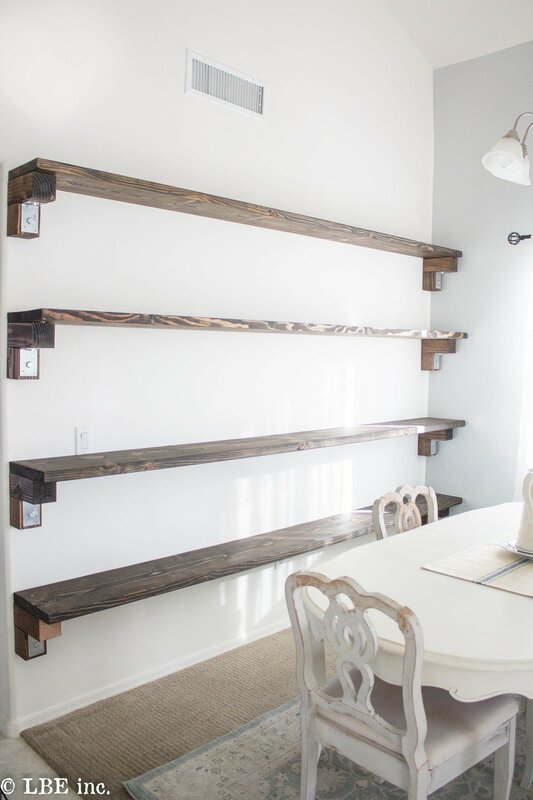 You have some farmhouse inspired shelves that include chunky corbels and are incredibly affordable! 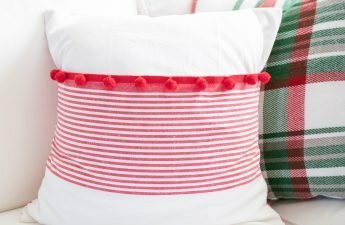 you can dress them up all year long and they are a perfect focal point for any space!!! If you enjoyed this tutorial be sure to pin the image at the top of this post to save it for later and to share it with friends!! If you have any questions or comments regarding this tutorial feel free to comment below or send me a private message! 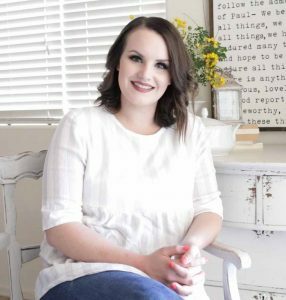 I am always happy to help with any questions you may have! ?thanks so much for stopping by!!! Love these!! Are you limited in the types of items you can put on there? It seems like there isn’t anything anchoring the shelves in the middle. Is there a weight limit you would suggest? You know now that I have lived with them a few months I would a corbel to the center as well since they are so long. However I put some pretty heavy items on them such as ceramic wear, glass wear big tubs etc. and they have not bowed all thought I wonder if they might over time! Unfortunately with the way the studs in my wall are I would need to add 2 more per shelf so I’ll have to go wrangle up the supplies again! Where did you get the metal corner braces that you have pictured? Searched HomeDepot and Lowes and not found ones this sturdy. Hey Tina! 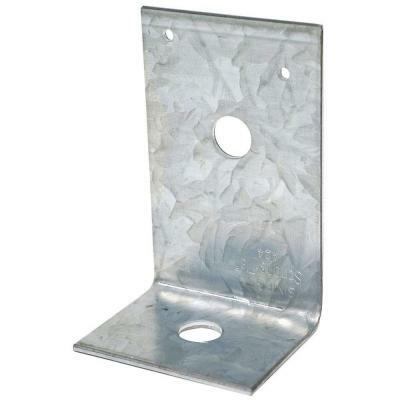 I have the exact link for those metal brackets in the product list above! They are from the Home Depot! These are great! I can’t seem to find the link for the corner braces, I know you said they’re from Home Depot, could I ask what size they are? I absolutely LOVE these!!! Have the shelves all made and ready to hang up. We went to Home Depot and the lag screws do not fit into the key holders. They are the only ones that they sell. Could you help with figuring this out. I’m really excited to get them hung in my new house!!! I’ve got my shelves all ready to hang, but can’t find the key hole holders. We looked at Home Depot, found the biggest one that they had and it’s still not big enough for the flathead fastener you have a on the list. Need help please!! Anxious to get them put up in my new house. Hey it seems like there might be a step or two missing here? 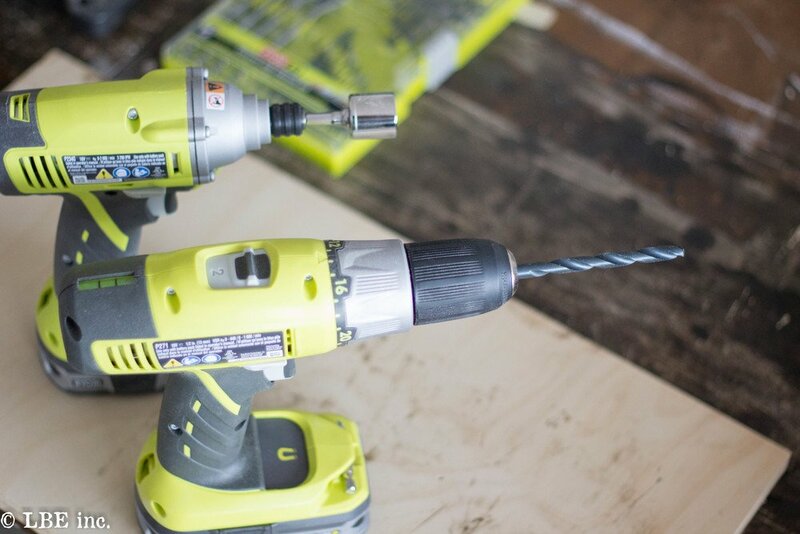 I see pictured an impact driver with a routing bit I can only assume is for creating the groove for the key hole fasteners, but there’s never any mention not that in the instructions. Also in the items list you specify 8 key hole fasteners needed, yet in the picture the fastener seems to be mounted to the bottom of the 4.5" block of the corbel, and the groove extending all the way through the 8" block, suggesting that another fastener would be needed at the top end of the 8" block. Is this the case? There’s also no mention of needing a kreg jig or screwing the two blocks of the corbel together but the picture does show two angled screws holding the 4.5" block to the 8" block. Hi. I am in the process of building these shelves but the headlok screw heads are way too big for keyhole fasteners. How did you get the keyhole onto the screws?? 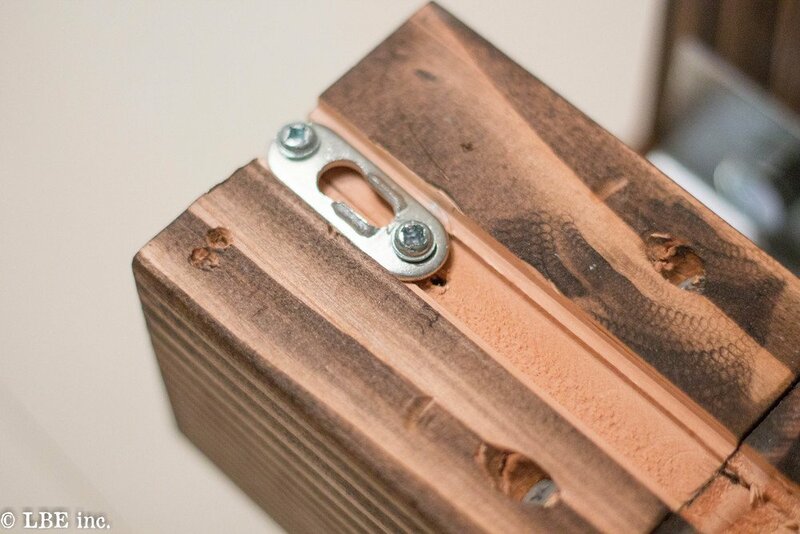 I’m making these shelves now but there is no way those screws will fit in that keyhole fastener. How did you get the brackets on the wall?? ?